Although at age 40 weight loss is more challenging than it was in your 20s due to a slower metabolism, getting fit is not impossible. The most difficult part is to stick to a fitness plan when you have responsibilities such as taking care of older parents, raising teens and performing at your job. Moreover, getting fit when you are 50 years old can be challenging as your life and body experience even more change. Exercising is extremely important to our health because it can help prevent many health conditions, such as heart disease, hypertension, cholesterol, diabetes, depression, bone loss, stroke and cancer. 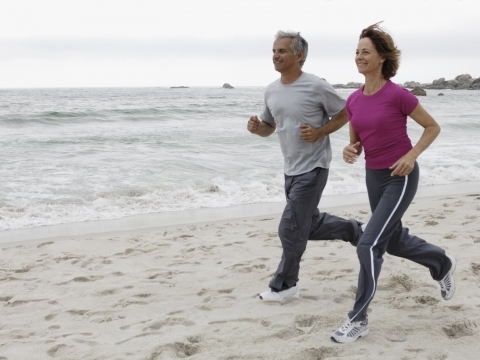 The important thing is to overcome your age preconceptions and make fitness a priority. This following information will help you achieve a healthy, lean body, so that you won’t spend your elderly years checking out mobility scooter reviews in order to find the best vehicle that can get you to the supermarket. After 35, the body begins to lose muscle tone and bone, you glands produces fewer hormones and you start to look differently. That is why committing to getting fit is important for your health. According to the 2008 Physical Activity Guidelines for Americans, an adult can gain many health benefits with 2.5 hours (150 minutes) moderate aerobic activity per week. You can split your exercise routine and do 21 minutes each day or 50 minutes 3 times per week. Moreover, just 1.25 hours (75 minutes) of vigorous aerobic activity per week is sufficient. That means exercising for 25 minutes 3 days a week. Moderate aerobic activities include dancing, bicycling, brick walking and tennis doubles. Vigorous aerobic activity includes jogging, jumping rope, hiking, swimming laps, race-walking and fast biking. If the purpose of your workouts is to loose some fat, you should read some body fat analyzer ratings and buy a quality body fat scale. Besides measuring your weight, like a classic bathroom scale does, a fat analyzer also measures the actual body fat percentage. With this scale, you will be able to monitor your progress and adjust your workouts accordingly. When reading body fat analyzer ratings, focus on the devices which have the best accuracy reviews. Another important aspect of getting fit is your diet. Because most individuals in their 40s and over balance social activities, family and career, they tend to neglect their diet. However, this is the time to make nutrition a priory. Eating six small meals per day is a great way to jump-start your metabolism and increase your energy levels. Don’t skip meals, especially breakfast, and choose healthy foods such as fresh vegetables, fruits and whole grains. Moreover, make sure you get enough sleep, because a lack of sleep prevents weight loss. You are getting enough sleep when you wake up in the morning and don’t feel tired. Cardio and strength-building exercises are the best way to lose weight and achieve a lean, good looking body. According to Heart-Healthy Living, a circuit training can increase your fitness level. This type of workout plan involves alternating different activities in one training session, such as cycling, elliptical training, walking on a treadmill and other cardiovascular activities. Strength-building exercises are an important part of getting fit because your body begins to replace muscle mass with fat after age 40. Pushups, weightlifting and other exercises that leverage your body weight should be performed in two training sessions per week. Old age is inevitable. It is possible to lead a healthy lifestyle and still lose your strength and mobility when you are old. If that ever happens, don’t hide from the world. Check out some mobility scooter reviews, turn in your car for a scooter and make the most of your elderly years. 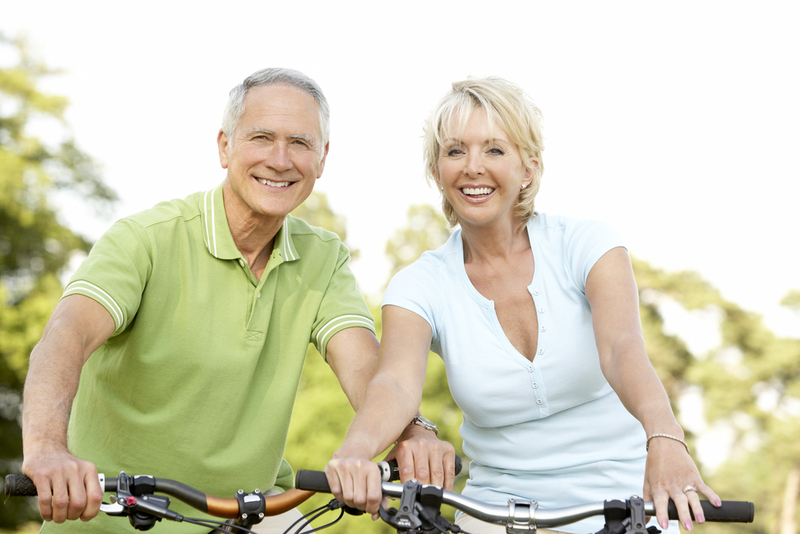 However, leading a healthy lifestyle can decrease the chances of old age impairments. When you are over 40 years old, you must pay a lot of attention to health and fitness. Go to regular health check-ups and stay as active as possible. In order to learn more useful health and fitness tips, visit the http://gazettehealth.net website. On that website, you will find plenty of useful information that will help you stay healthy and in shape.